Today's blog post is almost certainly the one that I've gotten the most requests for over the past couple of years! A lot of you are curious as to how I balance my full-time day job in radio, as well as running Southern Belle in Training blog and its social media channels. In today's blog post I'm going to try and break down my blogging goals, time management tools, and general thoughts about working and blogging- I hope this post answers a lot of the questions that you might have on this topic! 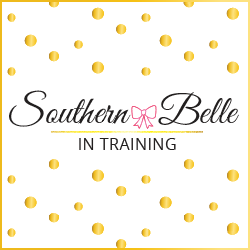 Before launching into all of the details about how I currently manage both blogging and my day job, let's back up to the history of Southern Belle in Training. I this blog on my 18th birthday, just a couple weeks after I began my freshman year of college (Heyyyy six year blogiversary next month!). For the six months of blogging, I didn't post that regularly at all. It definitely took a backseat to my academic responsibilities and extracurricular involvements. I ended up getting pretty sick in the spring semester of my freshman year of college, and I had to miss about 3 weeks of school. During all of my bedrest, I started posting on my blog more regularly...and I've pretty much never stopped since then! I guess having all of the extra time from being sick that semester allowed me to invest a bit more in my blog, and view it more seriously. Once I was back into my regular school schedule and feeling well again, I made a deliberate choice to continue to make posting on my blog 3-5x times a week apart of my routine. And I've never stopped!! My current posting schedule is 4x a week, Mon-Thurs. Occasionally I will share a Friday or Saturday post for something like a large sale event. I had an entire blog post about this earlier this year, but my goal with blogging has never been to make it my full-time career. I would totally be lying to you if I said it was! However, blogging will always be my creative outlet, and for the past few years I have been working hard to monetize my blog and make it into a steady hustle income. If I'm going to make money off of this blog, full-time blogging or not, I have to hold myself to a high standard with content. I have to produce it regularly on a schedule, and have high quality writing and imagery to engage my audience. There's a lot of things in my life that I've never seen myself as a perfectionist at (i.e. math classes in high school), but blogging has always been something that I've wanted to hold myself to a high standard with. Not an unreasonable standard- I think I've always been fairly realistic with blogging goals and how achievable they'd be based on the fact that I don't do this full time. Realize you won't be able to say yes to everything: Your blog is not your #1 priority. Your day job is!! That is where the majority of your income is coming from, as well as important things like health benefits and a 401k, etc. There will be weeks that you have to put in more hours than normal at your day job, or weeks where you're just plain stressed at work, and that has to come first. There will also be blogging campaigns or event invitations that you have to decline because you can't do it all. I'm guessing that you don't have unlimited PTO, so the majority of your weekdays each year won't be spent traveling for your blog. Once you accept this fact as reality, it becomes a lot less stressful to think about balancing both! When I receive a potential sponsored opportunity, I always ask the brand or PR firm for as much info as they can provide up front about the expectations of the campaign, so that I can have a clear picture on if I can take this on and not feel super stressed with work as well. Shoot photography (or video) content well in advance: It is the worst feeling in the world to have a blog post that you need to get up, but to realize you've run out of time to properly capture the visual content to accompany it. Yikes! For the past couple years, I've been shooting with a photographer at least once a month, sometimes twice a month if I have a lot of sponsored content to get to. I look at my editorial calendar before my shoots to make sure that I'll be capturing not only fashion content for scheduled posts, but also "stock photo" type pictures that I'll need (pictures like the one I'm using in today's blog post of me with my laptop for example!). I still have occasional situations where I have last minute photo needs and have to ask a friend to help me out, but generally speaking I like to work a few weeks out on photo content as well as writing. Set aside blog office hours each week: When do you find that you're the most productive for working on your blog after work? You might be the type who likes to jump right into it when getting home from work to keep the productivity streak going. You might be like me and prefer to wake up early and get some blog posts written or tasks done before heading to work (I love working at my desk to the background noise of the Today Show and Megyn Kelly Today!). Or, you might like to keep your weekdays focused on your day job and spend your weekends working on your blog. Whichever your prime time is, stick to it and make "blog office hours" for yourself! Mine are early in the mornings before work. I try and keep at least two weekday mornings set aside just for blogging (sometimes I do have plans in the morning before work or go to the gym). I also sometimes work on posts and other blogging duties on weeknights after dinner between 8-10 pm. I hate staying up late to finish a blog post though- so I try and get writing done earlier in the days and save social media tasks for evenings. Make realistic blogging goals: I'm all about goal setting! I love working towards a personal achievement, and the feeling of knowing that hard work paid off is amazing. When setting blogging goals while working full time, it's important to be realistic about the types of goals that you're making! If consistency with posting is a challenge for you with your schedule, try setting the goal of two blog posts a week for the next month. Going from barely posting to setting a goal of six posts a week? Probably not going to happen, and you'll give up from feeling overwhelmed. I set a few personal goals for Southern Belle in Training for 2018 this winter, and by late summer I've had to realize that a couple of them won't happen this year. I have a very different lifestyle this year than I did last year in Vermont, so I've had to make adjustments to them. And it's totally okay that I've had to readjust a couple things- moving from Vermont to Virginia was a huge life change in all aspects of my life, so naturally that would affect my blog as well. Use your lunch break or down time at work for blogging tasks: Hey hey- I'm doing this right now and finishing up this blog post with a cup of tea by me on my desk at work! You'd be amazed at how many things you can accomplish for your blog during your lunch break at work. It could be finishing a post like I am right now, tackling some Instagram engagement, linking fashion items in rewardStyle, catching up on Pinterest, scheduling tweets, etc etc. The possibilities are endless! Most of you know that I work full-time as a radio personality for a country station. I'm on-air in the afternoons, and my show is on from 2-7. Usually by 5pm I have tackled all of my other duties, (commercial production, work social media, everything else I do in a normal day! ), so I have the last hour to myself, minus my on-air talk breaks. I often tackle blog tasks in this hour as well. DO NOT forgo important work responsibilities to work on your blog- but if your day does have some downtime built in, take advantage of that! Take a true vacation at least once a year: I might be free from my radio responsibilities when I use time off to travel, but blogging and social media never sleeps! This past winter, I took a four day trip to visit a friend and I did a blog and social media break during those days, so it was a true vacation. It was SO needed! I came back feeling like I had so much inspiration. While you might treat some travel as work travel for producing blog content, I think it's really healthy to do at least one trip a year free of work from both your blog and day job! These are my best tips for how I balance it all. I don't consider myself to be an expert in time management at all, and I need to stress that! It's totally a learning process. In college I really sucked at managing my time well, since every semester my schedule changed, and a lot of last minute stuff happens in college as well. I personally love having a day job now with regular M-F hours, and I think it's easier to blog regularly now in the working world than it was in college! I'd love to hear your thoughts on this post- especially from my fellow girl bosses who kill it at both a day job and blogging regularly! Do y'all use the same tips I do? I loved reading this post. I’m such an inconsistent blogger, and as I begin year two of teaching my goal is to become better as balancing working, blogging, coaching, and grad school. Thanks for sharing! Thank you so much for this post! I've been pretty inconsistent lately with blogging - I work morning drive at my radio station, plus my husband and I are under contract on a house, so that's taken up a lot of time lately! But I really like the tip of sticking to an editorial calendar and having a stockpile of photos for the slower days! Thanks again for this - I got a lot out of it!! These are great tips! Working full-time and blogging can definitely be a challenge but once you have a routine set, it really helps things run smoother! Is so important to schedule everything! Not all my time goes to blogging so I need to know when I have to do certain thing. Great tips!! I also don't ever plan on making 'blogging' a full-time career, but I enjoy and love it SO MUCH that I don't think I'll ever fully stop! I really appreciate your point of view because I don't know any bloggers who aren't trying to make it a full-time gig -- at least one day! YESSSSSSSSS to all of these! Great tips because I totally struggle with this and taking pics way in advance and writing ahead is the only way I seem to manage my blog and full time job. I have struggled with this for several years but slowly getting better at it! I think you hit the nail on the head with the word 'balance' because it's my biggest faux pas! All of your tips are fantastic, and I especially like the one about setting blog office hours. I kid you not, I am doing something blog related every single day, whether it be social media or responding to comments. I feel like I get nothing else done (because I don't haha). Definitely something I need to put into practice. Great post for those bloggers old and new! That editorial calendar was my saving grace when I was first starting out! These are amazing tips, Annaliese! You do an amazing job balancing your blog and your day job. I've also been blogging for almost six years and I agree an editorial calendar and consistent content are key! 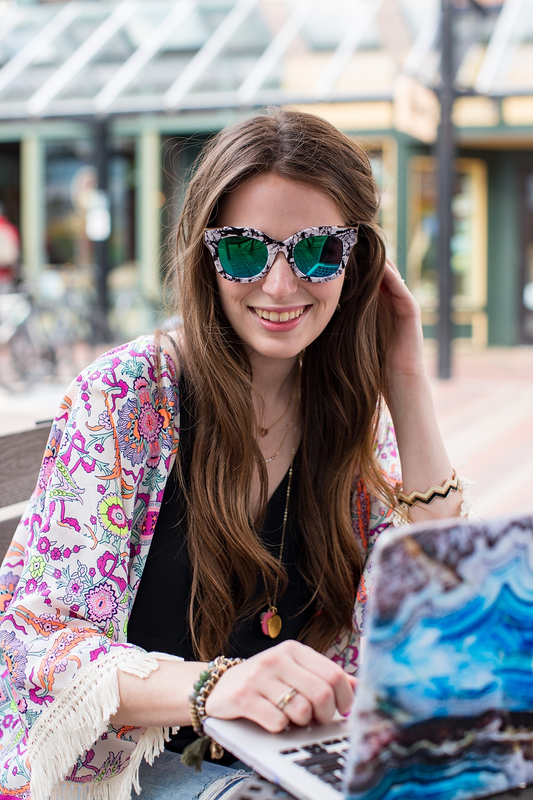 I'm with you - I never want to give up my day job and blogging is just a (serious) hobby. I totally know what you mean that because of this, you need to be on top of it when it comes to scheduling posts and organizing content! My photographer is my boyfriend so luckily I have more flexibility when it comes to having outfit photos so I can shoot a couple outfit posts a week. Such great tips! Having 2 jobs myself and a blog, I totally get these - balance is so important, as is keeping a schedule! My number one tip is to shoot in advance!! It saves so much time and energy! It's definitely a struggle managing both, but this helps a lot! thank you! i love your tips! i couldn't agree more with them!